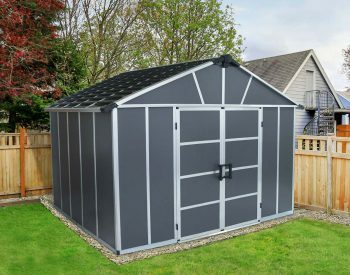 The DURAMAX 7×7 foot STOREMAX shed features wall columns that are reinforced with solid metal allowing you to easily hang shelves. 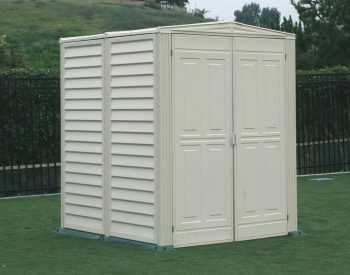 This shed comes a complete with a solid reinforced metal floor that eliminates the need for building a foundation. 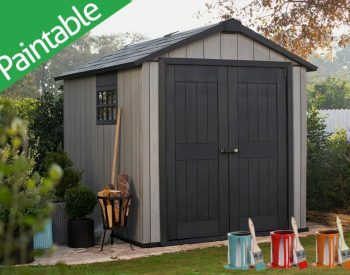 Ready to assemble with pre-made materials. 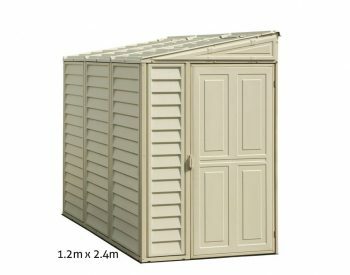 The STOREMAX is an ideal outdoor storage shed: it’s fire retardant; won’t rust, rot, dent or mildew; it never needs painting; and it will last for years to come. 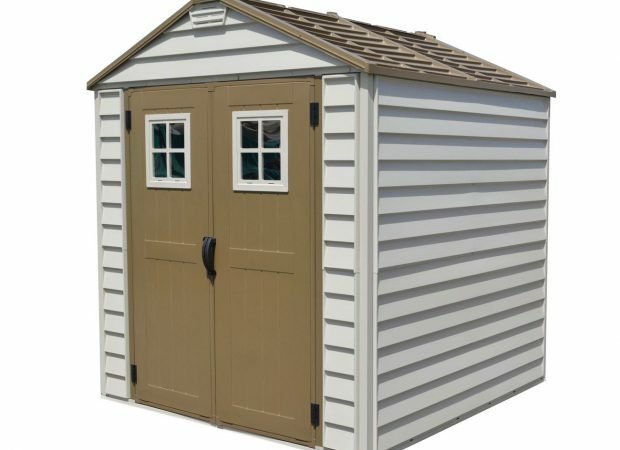 This shed has the workmanship and quality that justifies the longest warranty in the industry, 15 YEARS. 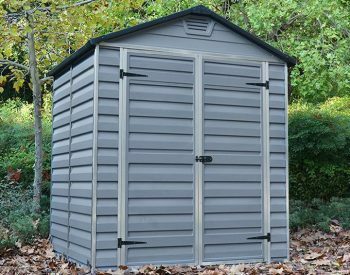 Upon examination of our heavy duty galvanised structural steel interior beams and columns you can further understand the quality we employ in the manufacturing of the Storemax shed. 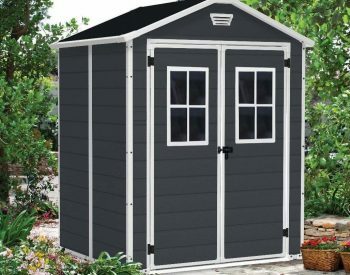 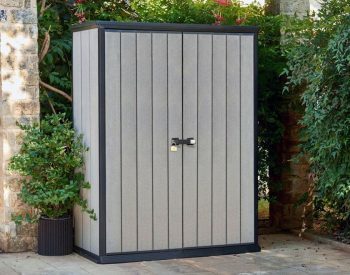 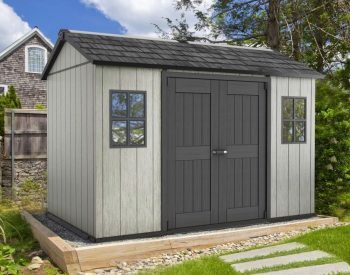 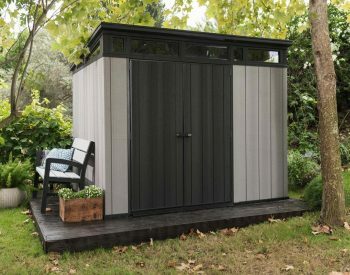 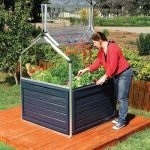 This shed features a complete solid metal and vinyl floor frame that eliminates the need for building a foundation just add plywood to the foundation frame for an attractive, sturdy floor. 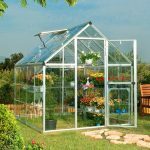 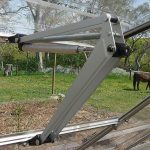 Includes stylish widows in the doors for extra light and visibility. 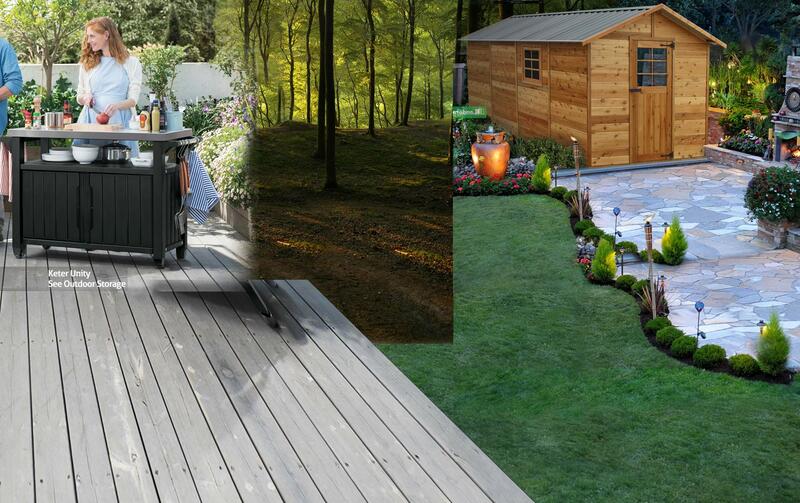 Ready to assemble with pre-made materials. 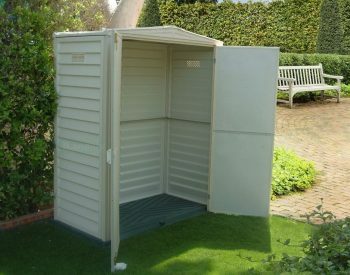 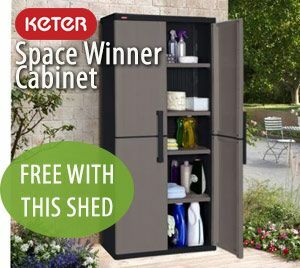 Great buyWe have recently purchased and installed our garden shed. 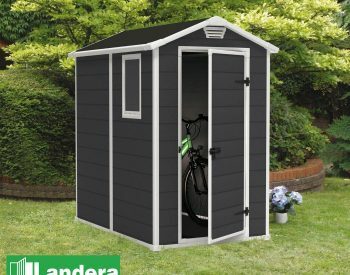 Instructions were very clear and found it easy to assemble. 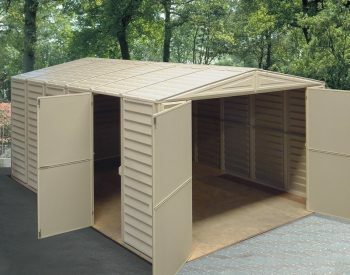 Happy with the end product and looks like it is built to last.